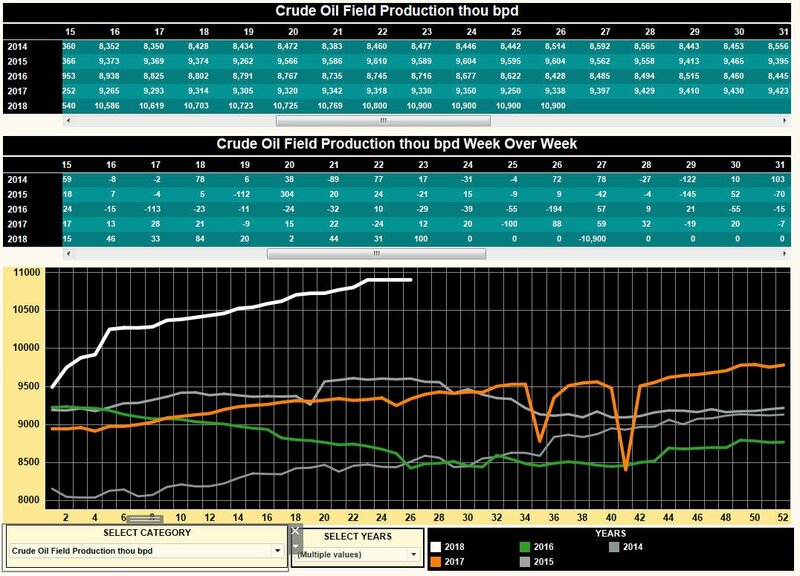 U.S. oil rigs in service were higher this week by 5 with oil production at record highs this week as oil constinues over $73 with Iranian tensions and the Synocrude outage. Bottlenecks remain in the Midland Texas area. Canada took added 9 oil rigs to 126 in the past week General Electric Co’s Baker Hughes reported. Total North America rig count rose 15 to 1219 up 107 year on year.